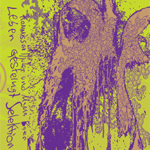 A long form release in the fluxist tradition of collaboration, tracks selected for and title created by label for Mama Baer and Komissar Hjuler, Germany's most notorious married noise makers. Included also in it's entirety is the track Die Antizipation des Generalized Other, a sound poetry conversation on the subject of George Herbert Mead's given topic, and the source for an extensive ongoing collaboration between the couple and the rest of the world as SHMF-019+, with over 70 reinterpretations by various artists (SHM-019+BH is a Black Horizons graphic reinterpretation of the track, reprinted in BH-50 Provocative Rituals artzine). Grating, emotional, and hyper-personal sound art, that is vulgar and challenging. Lots of yelling in German and incompetent playing of instruments. 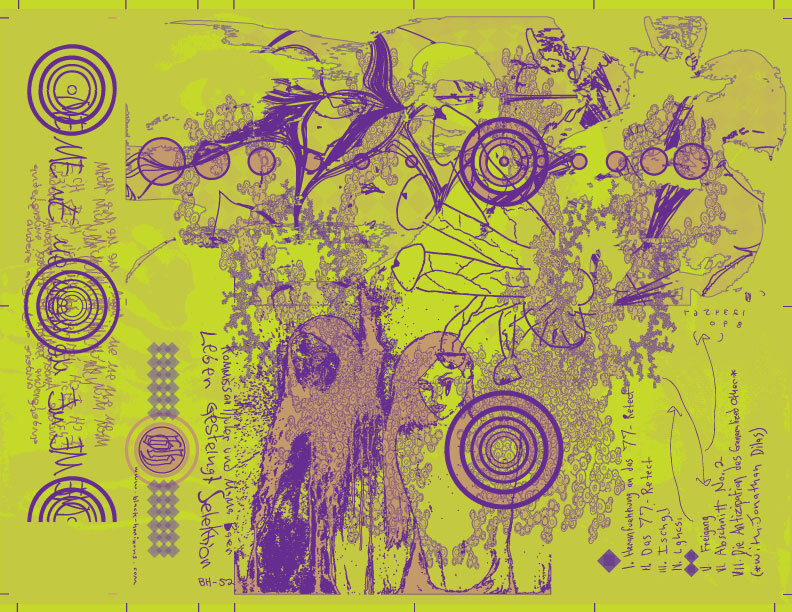 Covers are purple and gold offset printing on lime green vellum, 3-panel folded over, with an OBI. Gold labels. 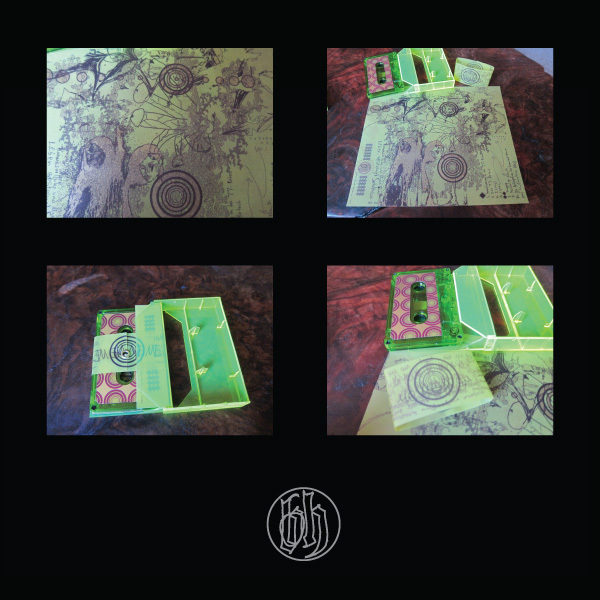 Edition of 100 on green tapes in green cases.